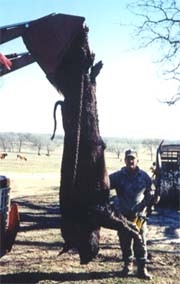 Every trophy boar will weigh AT LEAST 200 pounds and will be a guaranteed wall hanger. There are a few larger than 300 pounds that have long tusks. 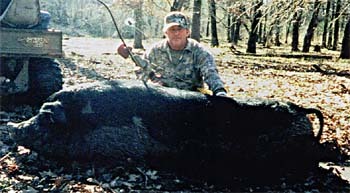 These boars are very intelligent and offer a unique challenge to even the most experienced hunters. There are many outfitters that say they have good hog hunting, but the Smith Ranch genuinely gives you the chance to harvest a trophy class animal. Please call for details on trophy boar pricing.